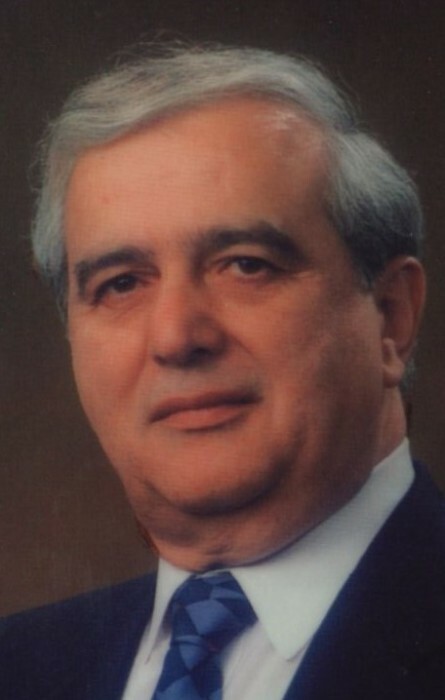 Obituary for Joseph "Bud" Gigliotti | Scala and Roefaro Funeral Home, Inc.
Mr. Joseph “Bud” Gigliotti, age 85, of Utica, passed away on Wednesday November 14, 2018 at St. Luke’s Hospital Center with his beloved family by his side. He was born in Utica, NY on August 28, 1933 a son of the late Lawrence and Carmella Cittadino Gigliotti and was educated in local schools. On January 23, 1965 he was married to Patricia Didio in Blessed Sacrament Church, a blessed union of 53 years. Joe “Bud”, as he was affectionately known, was a self-made man. Although he had no formal education, his innate knowledge of life, business and common sense was extra ordinary. Throughout his career, he made many lasting associations and friendships with countless business CEO’s, as well as government officials at all levels, including Governors, Senators and Presidents of the United States. He was a well-respected consultant and a pioneer in the Construction Business throughout New York State. Joe “Bud” was the co-founder along with his late partner Joseph Karam of JGK & Associates Consulting Firm. JGK became a source of pride for Buddy for the remainder of his professional life. He was a personal advisor to firms such as, Allied Chemicals, Delia Construction Co., Barrett Paving Co., Lancaster Development Co., DA Collins Co., Empire State Highway Contractors Assoc. and a host of other business’s. In 1991, in Honolulu, Hawaii, he was elected as the “National Highway Director” of the (AGC) Associated General Contractors of America, a position in which he served with pride and distinction. Once again in 2014, because of his tireless dedication to the construction industry Bud received the “SIR” Award (Skills, Integrity and Responsibility) from the AGC. This award was the highest compliment one could receive in the industry. Buddy became known as the “go to” person for management and labor, something that he strongly believed in. Joe “Bud” was involved with Democratic Politics his entire life. He began with Mayor Dominick Assaro’s Administration in 1968 and thus became the consummate Democratic cheerleader, helping to pioneer the core values of honesty and integrity in politics. He served for over 40 years[DR1] as a Democratic State Committee person, alongside fellow member and friend, Assemblywoman RoAnn Destito. Bud also enjoyed the many years he and Patti spent at their home in Naples, FL with dear friends. He also looked forward to playing golf with the “Golf Group” and there many trips to Lake Placid. A truly unique man, Buddy will be forever missed by his beloved family and countless friends. Privileged to be his Pall Bearers are; Jeffrey Manning, Guy Cristalli, David Critelli, Matt Shannon, Jeff DeStefano and Jim Wheeler. Surviving are his loving wife, Patricia; two beloved sisters AnnaMarie Clare and Sally Pugliese; his brother-in-law Michael Didio; many dear nieces and nephews of the Colucci, Clare and Didio families, especially Jaime and husband Alen Kamauf and their son Luka, Joelle Didio, Jeffrey Manning and wife Lori, whom Buddy loved like a son, and many dear cousins and special friends including Clemente Golia, Florio Vitullo, the “Crash Brothers”, Lou Critelli, JK Hage, Tom Longe, Jerry Stucchi and David Roefaro who was like a son to Buddy. He was predeceased by his parents, his father-in-law and mother in-law Joseph and Mary Didio, in-laws Joseph Pugliese, Harry Clare, Marie Didio; his dear friends Angelo Nole and Antonio Faga. Visiting hours will be held on Sunday from 2-5 pm at The Scala & Roefaro Funeral Home Inc. 1122 Culver Ave. His Mass of Christian Burial will be Celebrated on Monday morning at 11:00 am in Mt. Carmel/Blessed Sacrament Church. Private interment will be in Calvary Cemetery. A special Thank You is extended to Dr. Garg, Dr. Butala and the 6th floor oncology unit nursing staff at St. Luke’s Hospital for their care and compassion. In lieu of flowers, donations in his name may be made to the AGC Scholarship Fund 10 Airline Dr. Suite 203, Albany, NY 12205. Envelopes will also be available at the funeral home.